is the ideal escapade for a romantic weekend just the two of you. Leave your car and set off on a starry-eyed stroll through the superb narrow cobbled streets of this truly striking destination. Here's the menu – simply concoct your own stay. 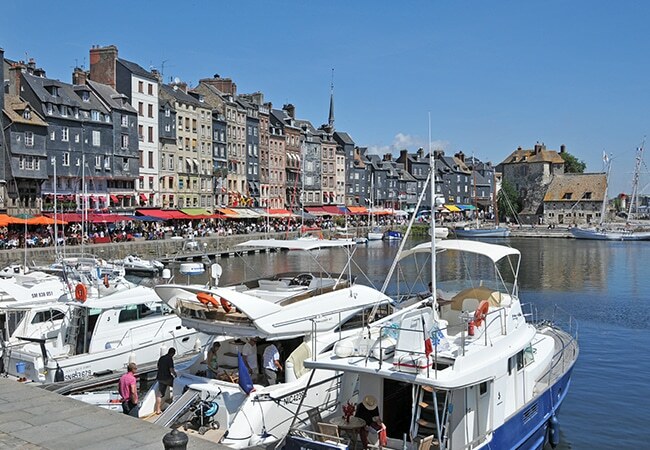 Honfleur's fisherman's houses, high and narrow and adorned with wood planking or slate, are its most singular expression. These atypical dwellings can have up to 7 floors. Behind this original facade, stroll through the cobbled streets where you can pay a visit to many a pretty boutique or art gallery. Marvel at its stunning wooden architecture. And if you take a closer look, you will note its resemblance with an overturned ship's hull. This Honfleur-born painter was one of the forerunners of the Impressionist movement. It is interesting to note that it was Eugène Boudin himself who initiated Claude Monet into outdoor painting. Make a date at Les Maisons de Léa located opposite St Catherine's church. A cosy gourmet tea room where you can relish in home-made pâtisseries on the terrace or by the fireside. 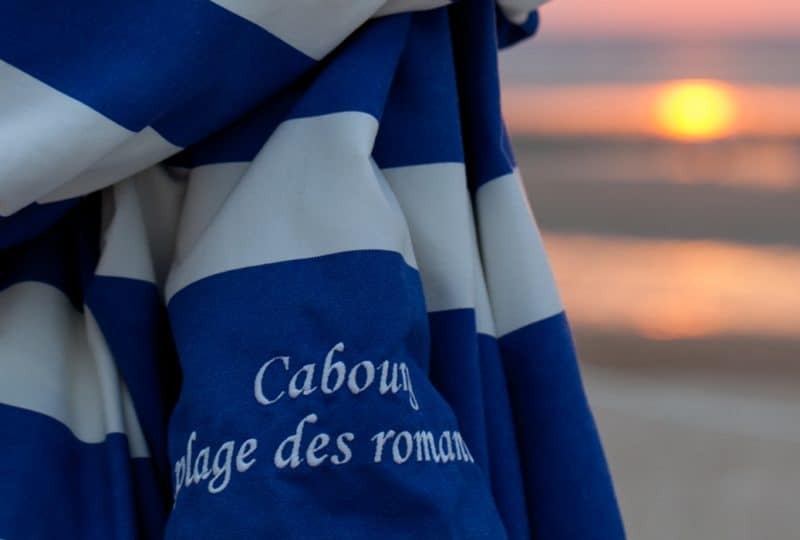 Les Maisons de Léa also offers a hotel, Nuxe spa and a delicious restaurant... test them over your next well-being weekend in Honfleur. From the Notre Dame de Grâce chapel. 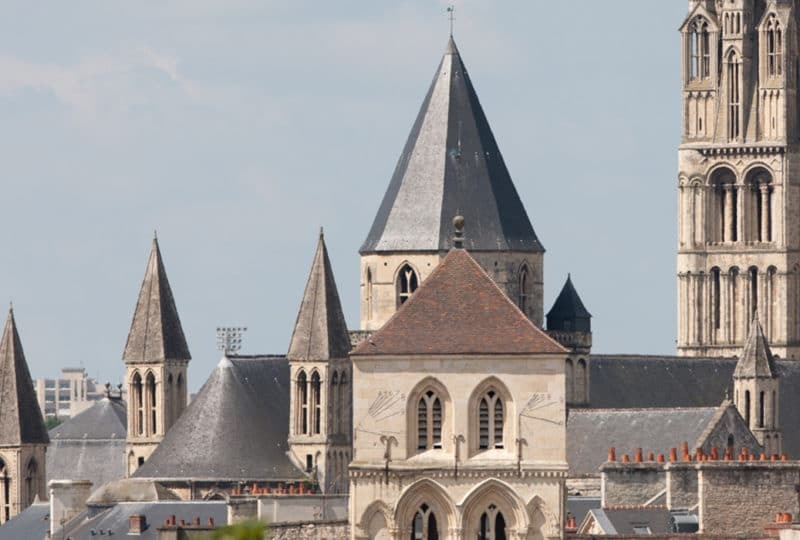 As you make your way by foot along the Route Adolphe Marais, you will pass by the Ferme Saint Siméon. 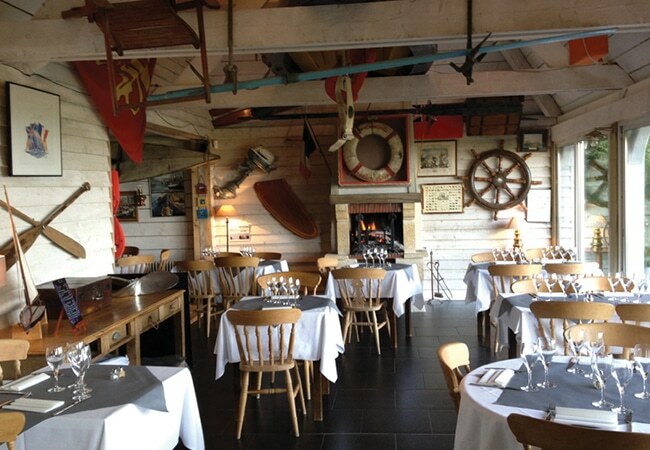 Le petit Vasouyard a great place to dine, offering sea views, a friendly atmosphere and cuisine that honours Normandy's typical fresh produce. 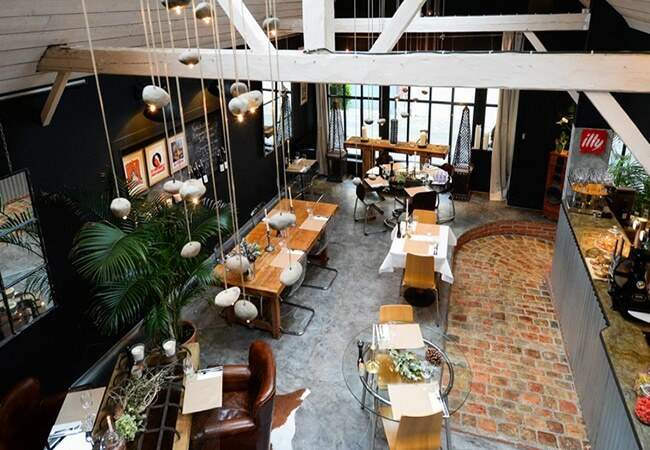 L'endroit is a restaurant bistronomic cuisine in a trendy industrial loft atmosphere. 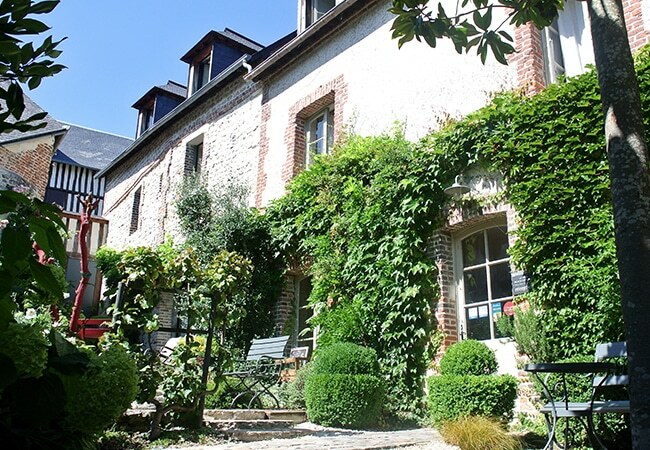 La Cour Sainte Catherine, a charming guest house with a small garden. A lovely place in the immediate vicinity of St Catherine's dock. And if you're travelling as a family, opt for an apartment. Looking for aplace to recharge your batteries? L'Auberge de la Source is the ideal place to recharge your batteries, just a 10-minute drive from Honfleur. This pretty and typically Norman house, surrounded by a garden, offers 15 stylish country bedrooms.